It’s no surprise that Cambridge students are insecure, but in my time as a postgraduate here, I’ve witnessed a style of showing off, where people casually lob their accomplishments back and forth between swigs of wine, in a tiring game of conversational badminton. This phenomenon is symptomatic of “imposter syndrome”, particularly within the postgraduate community. There are half of us who grow quieter when insecure, and the other half who grow louder, missing the line between acknowledging one’s accomplishments and boasting about them. Those who suffer most aren’t swaggering Etonians reclining on punts, but are those most insecure about their calibre in comparison with their peers. It perpetuates a cycle, wherein a subset of those suffering imposter syndrome latch onto bragging as a coping mechanism, sowing the seeds of imposter syndrome in others. In the end, you suffer an inflated sense of someone else’s achievements, at the expense of the worth of your own. People exhaust themselves reciting hyperbolised feat after feat, like a bard narrating an epic poem, and listeners wonder why they’ve done so comparatively little. More frequently, I’ve seen students adopt the humble brag: a casual insertion, tangentially connected to the conversation, and prefaced with a minor complaint, about how hot it was Hong Kong last summer, which segues smoothly into a brag. Many don’t even realise they do it. A portion of bragging students are simply privileged, but many are insecure. This happens among undergraduates and postgraduates alike, but where the latter are concerned, the situation is different. By the time you’re doing an MPhil or PhD, people have achieved a lot more. They’ve worked as research assistants, done a few impressive internships, travelled a little further and are possibly after one of a scarce number of academic positions you aim to secure. Essentially, there’s more fodder, and confronted with the fear of imminently free-falling into an appalling job market, people are all the more insecure about their capabilities and whether or not they’ve done enough. Time, they feel, is running out. What’s the point of doing a UN internship now when so and so did it at 19, and is fluent in French? Postgraduates are also less mollycoddled and more isolated, spending hours alone in the lab or writing a lengthy dissertation, which can come to exacerbate any sense of fragility. 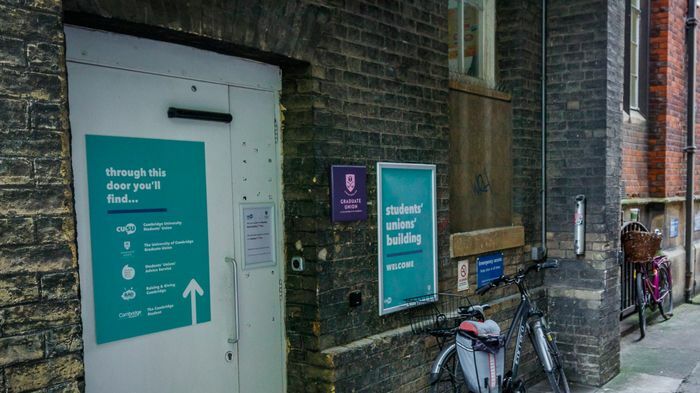 The Graduate Union efforts to minimise stress and isolation, through free yoga and film nights, speak to this. This is why those intimate moments in which people admit insecurity, over a coffee or in the college bar, are so endearing and important. If they happened more often, we would waste less time and energy fabricating a perfectly accomplished self. The person you feel knows everything thinks that you do. The eye of the beholder is often faulty in this environment, where incredibly studious people are tightly clustered. It’s easy to feel we’re falling short of the mark when we constantly witness diligence. So where do we go from here? I speak to both subsets, braggarts and quiet folk alike. Find evidence that no one is truly perfect and develop a quiet confidence in your own abilities. Reach out to that person you think is doing so well and get to know them. See past their idealised projection, if they let you. Break the cycle. Remember that the best you can do in an environment of intelligent and accomplished people is to learn from them, as they learn from you, in wholesome symbiosis. The more we engage with others in social situations, where people tend to be more relaxed, the more likely this cycle will break. College Graduate Unions need to make every effort to create those casual spaces in which it would be odd to set about proving your intelligence, where being accomplished is not important and postgraduates aren’t hampered by the pressure to “get ahead”. It’s more important, in a social environment, that someone baked cookies for welfare tea or voted for Borat on movie night. Other students aren’t your competitors, but your allies, especially when you’ve spent the day alone with your laptop. So if you come across someone attempting to bedazzle you with their summer internships and coursework averages, like a watch vendor flashing the wares in his coat, take care not to let it chip away at your self-confidence. Importantly, it’s okay to walk away from a braggart if reaching out to them doesn’t work. Your confidence is worth protecting and your own accomplishments worth acknowledging. Bear in mind Salvador Dali’s sobering, yet liberating, quote: “Have no fear of perfection - you’ll never reach it”, even if you’re a postgraduate student at Cambridge.